While we seem to be weeks (maybe months??) 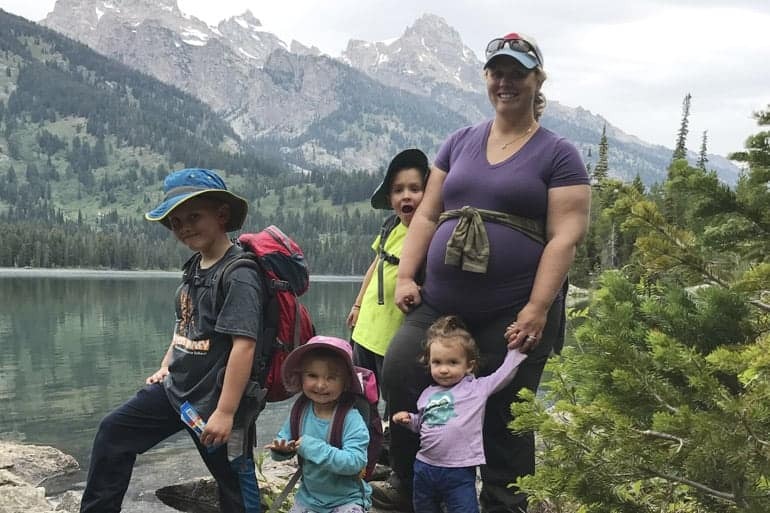 behind much of the rest of the U.S. in welcoming summer, it’s finally time to start thinking about the best ways to get out and adventure despite hot temperatures. Here’s some of our favorite, simple ways to make it happen! Go early. Plan your day so everyone is getting out and being active before 10 am. 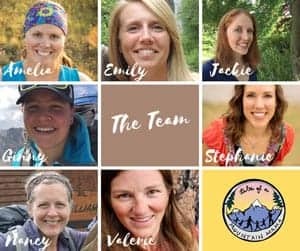 This may mean breakfast hikes (a picnic along the trail is ALWAYS fun), bike rides at 8 am or packing the night before so you can get out early. Find water. In the opinion of my kids, water play is hands-down the best part of summer. Find a shaded creek, hit the beach or lake, or fill up all the containers you can find with water in the backyard. 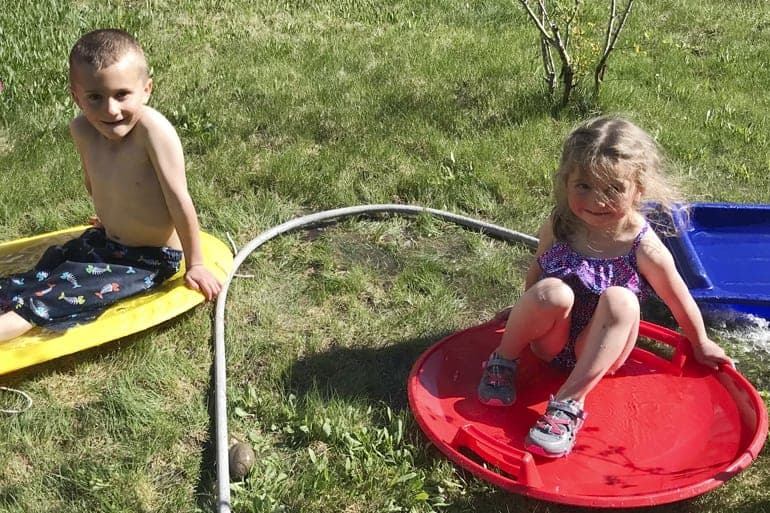 My winter-lovers think sleds make a pretty great “pool”. 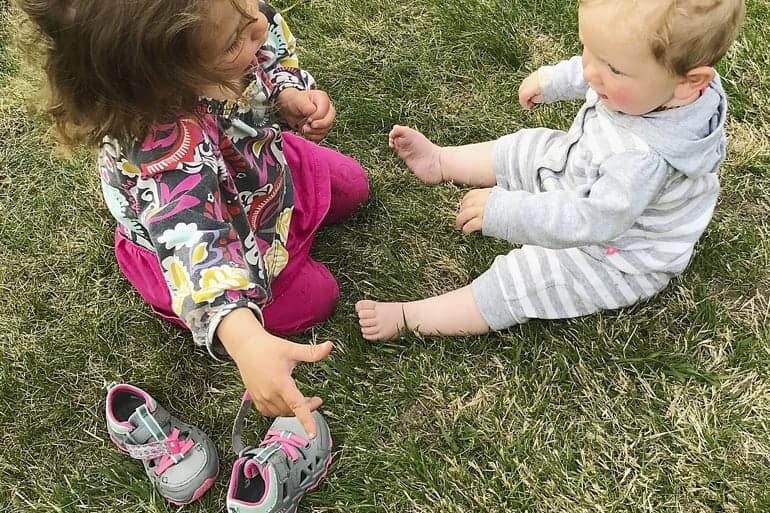 To save toes, we insist on our kids wearing their Merrell Hydro 2.0 shoes. They allow that water play while protecting their feet. 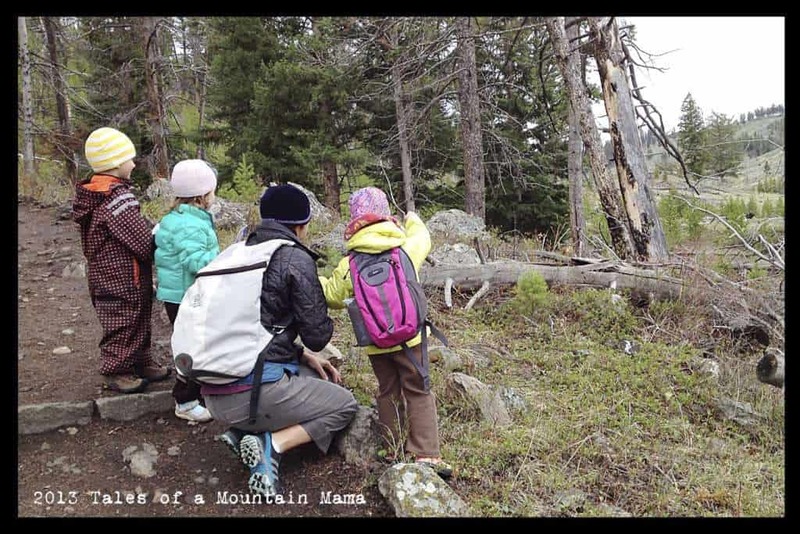 They also have great traction for kids who love to run and hike and play in that water. Eat cold snacks, but avoid the added sugar. 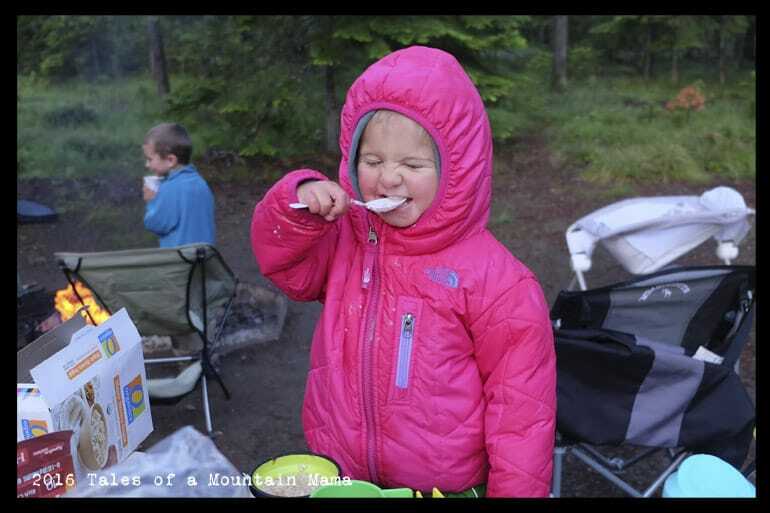 Watermelon, cantaloupe, blueberries and bananas are fun to eat frozen. For an extra special treat, puree them and freeze into your own popsicle molds or ice cube trays. It’s easy to get caught up in the convenience and fun of summer sweets, but it usually ends up with kids wound up on sugar. Bring Friends. 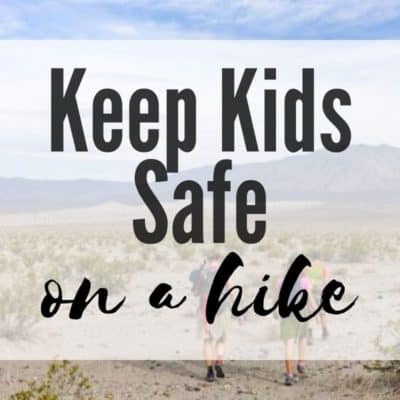 A little positive peer pressure is always a beautiful thing, but it tends to be especially effective as far as getting kids down the trail in the summer. 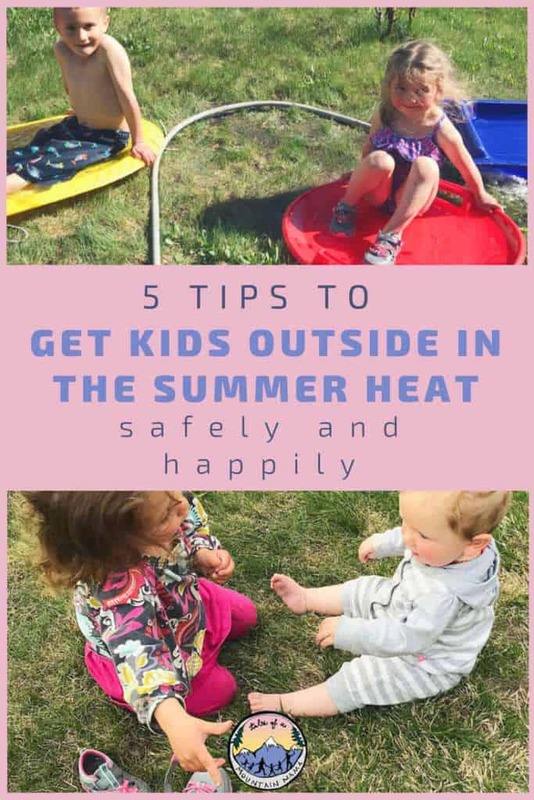 It also usually increases everyone’s threshold for a little extra time spent outdoors and less complaining about the heat. Protect yourself. Drink water, wear sunscreen, wet your clothing so you stay cool! And don’t forget sun hats and sunglasses for everyone! 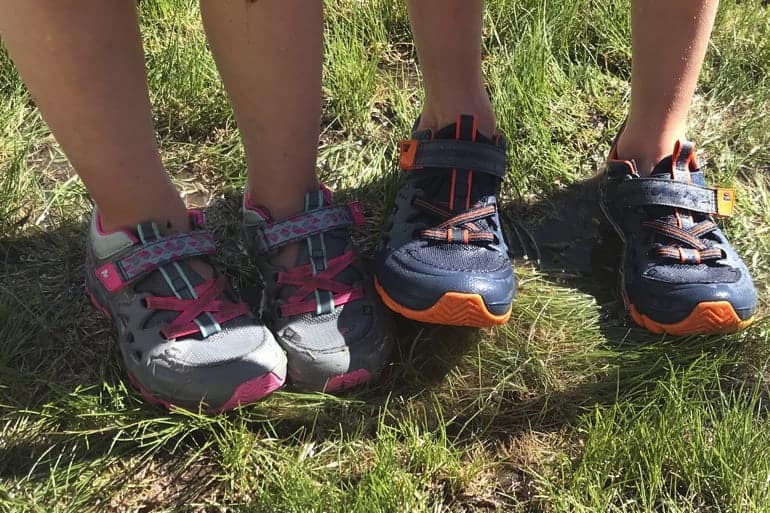 This summer, my kids are wearing the new Merrell Hydro 2.0. Not only are they “sandals with toe protection”, they have excellent traction, are light and airy, clean easily and adjust for a safe, comfortable fit. They call them their “summer running shoes” and can be worn barefoot AND with socks. 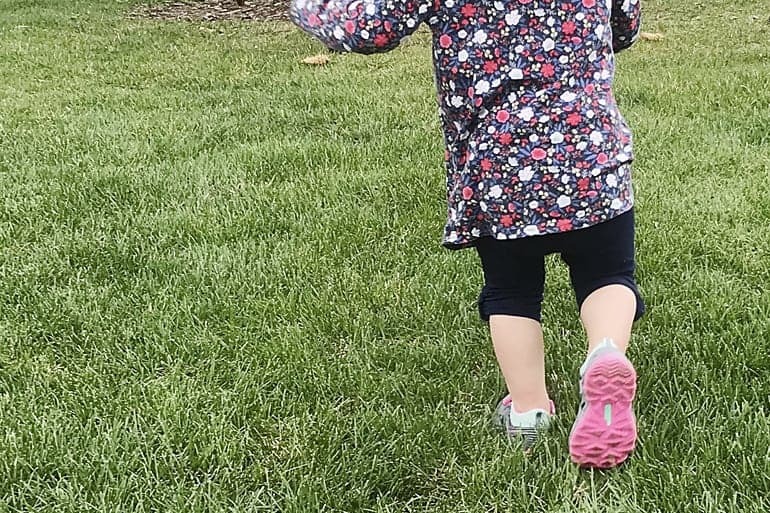 This post is sponsored by Merrell Kids, but, as always, the opinions expressed here are completely and honestly our own!